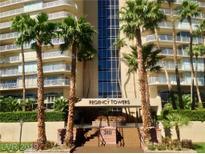 Below you can view all the highrises for sale in the Regency Towers subdivision located in Las Vegas Nevada. 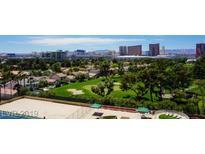 Listings in Regency Towers are updated daily from data we receive from the Las Vegas multiple listing service. To learn more about any of these highrises or to receive custom notifications when a new property is listed for sale in Regency Towers, give us a call at 702-323-5939. Hundred of thousands spent. You will not be disappointed. MLS#2088295. 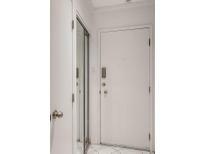 Realty ONE Group, Inc.
Nice Custom Kitchen, Tile Floor Throughout, All Appliances Included.Custom Walk In Closet, All The Doors, Bathrooms Are Updated. Move In Ready. MLS#2089035. 1st Priority Realty, LLC. Many Community Features Incl Tennis Courts, Pool, Sauna, Underground Pkg, Guest Pkg, Guest Rooms, Guard Gated, Double Security, Media Room, Mtg Room, Alarm, Storage Unit...Fabulous Community Mgmt MLS#2087663. Desert Realty. Tennis Courts, Pool, Jacuzzi, Concierge, Bbq, Putting Green. A Must See. MLS#2082037. Realty ONE Group, Inc.
to the Las Vegas strip, airport, best world's entertainment, shopping & dining. MLS#2080394. BHHS Nevada Properties. Amenities Galore, Guard Gated. Priced Right MLS#2071930. Simply Vegas. You cannot miss this rare opportunity to own a unit like this in this building! Triple guard gated community. MLS#2068203. Realty ONE Group, Inc. Insulated ceiling to floor windows come complete with rolling shades. Buyer lender credit available! MLS#2059512. SmartWay Acquisitions, LLC. You cannot miss this rare opportunity to own a unit like this in this building! MLS#2054131. Las Vegas Pro Realty. Management on site, fitness, guest suites for guests and other great amenities. MLS#2052099. Realty ONE Group, Inc.
With staff, security and management on site makes this amenity driven building even more desirable. MLS#2042334. Realty ONE Group, Inc. Granite counter tops in kitchen and bathrooms, all appliances included. MLS#2034740. BHHS Nevada Properties. Spoil yourself with doorman, valet parking, 24 hrs world class security, tennis courts, pool, Jacuzzi, concierge, BBQ, putting green. MLS#2034754. BHHS Nevada Properties. Great Price -strip Views- Rare 3 Bedroom= Carpet Almost New -24/7 Security-golf Course Views- Breakfast Bar-tennis And Outdoor Bar B Q Area-floor To Ceiling Windows= MLS#2030241. Barrett & Co, Inc. Surrounded by the luscious Las Vegas country club.This iconic real estate formerly owned by the prominent Irwin Molasky.Historic & glorious space perfect to be customized to your taste.Close to the best entertainment,dining & shopps.The space measures over 7,000 sq.ft,however showing less on the city records.Buy! MLS#1991588. BHHS Nevada Properties. Surrounded by the luscious Las Vegas country club.This iconic real estate formerly owned by the prominent Irwin Molasky.Historic & glorious space perfect to be customized to your taste.Close to the best entertainment,dining & shops.This unit can be purchased w/28G next door,combined almost 10,000 sq.ft. Best Buy! MLS#1991583. BHHS Nevada Properties.